In the quest for CRISPR supremacy, China just won another first. Last week, a team used CRISPR-Cas9 to correct a single mistaken DNA letter in over a dozen human embryos—and succeeded 16 out of 18 tries, a massive improvement over previous attempts. The high success rate is, in part, thanks to a relatively new CRISPR method called base editing. If standard CRISPR is a pair of scissors, then base editing is a surgical knife. Introduced in 2016, the technology precisely swaps out a mistaken DNA letter for the correct variant—for example, C for a T, or G for an A—which in turn corrects the genetic disease. Cool, right? There’s more: the edited embryos were created through IVF using standard techniques. Other than carrying a mutation—which would eventually lead to a rare disease that tears apart the body’s connective tissues—the embryos were otherwise healthy. If given the chance, they could potentially develop into full-fledged humans. This is notably different than many previous attempts at embryo editing, which often use discarded or mutated embryos created by one egg and two sperm—embryos with no chance of ever becoming a human. The reason is ethics: editing genes in mature cells in the body is limited to that single patient. In contrast, because embryos carry all genomic instructions—including making new eggs or sperm—any changes to their DNA will also affect their offspring. Editing embryos is essentially forcing genetic changes onto future generations that have no say in whether or not they want to accept the risk. The success rate wasn’t great either. Only four of the 54 surviving embryos after treatment carried the intended genetic tweaks. And even those weren’t completely fixed: the “successes” were mosaics, in that only some of the cells were edited, whereas others still contained the mutated gene. The edits also triggered a sea of off-target snips in the genome, which could potentially lead to a cascade of genetic deficits. Debates about safety partially underlies objections against using CRISPR for germline editing. And these concerns have merit: a recent study strikingly showed that edited cells may be more likely to turn cancerous, while another suggested that off-target effects are far . Yet hypothetical nightmare scenarios of using CRISPR to create monstrous fetuses haven’t stopped scientists from further pushing boundaries. 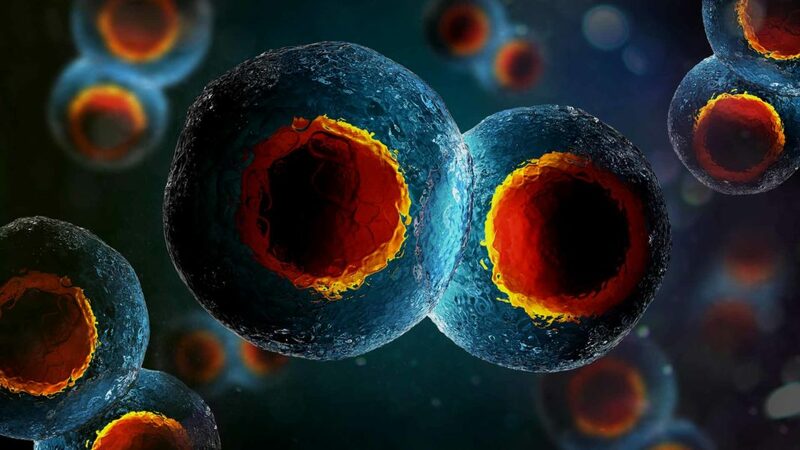 Just two years later, another Chinese team reported that they had successfully edited cells in three normal, viable human embryos out of six attempts. While viable, these embryos were made using donated immature eggs, which need the additional step of being coaxed into mature cells inside a test tube. Then in 2017, a team from Oregon released a blockbuster study claiming that they had successfully used CRISPR to correct a mutation that leads to congenital heart disease with high efficiency and few side-effects. Critics immediately pushed back—arguing that the evidence was unpersuasive—and further intensified the controversy over germline editing in a debate that still rages today. The new study wades into these murky waters and offers a tantalizing glimpse of a brighter CRISPR future. The authors took a path less traveled: rather than using traditional CRISPR tools, they relied on base editing which currently seems much more precise. The classic approach works by breaking doubled-stranded DNA and letting it repair itself—which invites mistakes. Base editing works much more like autocorrect for the genome: it precisely swaps one DNA letter for another while leaving everything else alone. The team used the tool on embryos with mutations for Marfan syndrome, a rare disorder that breaks down connective tissue and causes a myriad of unpleasant symptoms: loose joints, vision problems, or even rips in the heart. The culprit is a single letter mistake: an “A” in place of a “G” in a gene called FBN1. Starting out with a healthy egg, the team injected sperm from a man with Marfan syndrome using a standard IVF technique. They then treated some of the embryos with the CRISPR base editor molecules and nurtured them for two days in the lab—just long enough to see if the technique worked. At no point did the team consider transplanting the edited embryos into surrogate mothers, which isn’t currently legal in China. By sequencing the DNA of the edited embryos, the team found that all 18 had been edited, with 16 having a “perfect correction”—healthy gene and no side-effects. The two outliers had “undesirable editing besides the correction of the mutation,” said study author Dr. Xingxu Huang at Shanghai Tech University, which was a single unintended swap in both cases. Surprisingly, the team didn’t find any signs of the sort of widespread genomic havoc that older CRISPR technologies inflict. They used an algorithm to predict with genomic sites are likely candidates for unintended editing, then carefully checked those sites—and found nothing astray. At 89 percent success rate, the study is the most successful attempt at CRISPRing human embryos so far. It may even be sufficiently high for IVF clinics, which can then screen the embryos and only transplant those with the corrected genes into mothers. Dr. David Liu at Harvard University, who invented the base editor but was not involved in this study, gave his nod of approval. “[It’s] a nice demonstration that continues to expand the breadth of settings and applications suitable for base editing, including the correction of [mutations] associated with genetic diseases in human cells and human embryos,” he told STAT News. That said, Liu is unwilling to proclaim that his base editor worked better than traditional CRISPR in a clinical setting. “Despite more than 50 publications using base editors from laboratories around the world, the entire field of base editing is only about two years old, and additional studies are needed to assess as many possible consequences of base editing as can be reasonably detected,” he cautioned. One thing is clear: this is just the next step in the CRISPR germline editing saga. And it won’t be the last. Although once considered morally indefensible, more recently, public attitudes and regulatory opinions are gradually shifting towards acceptance for heritable genetic editing—at least for treating inherited diseases, rather than for augmenting human abilities a la “designer babies.” With momentum on the rise, we can likely expect the next chapter soon.